At manipulate, bodies are not the primary agents, nor are emotions necessarily human. 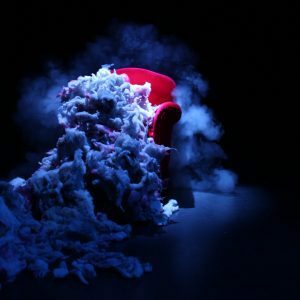 Cue the luxurious red velvet armchair of Sens Equivoc’s La Causeuse (The Love Seat), which stars in a joyous piece of visual theatre alongside the fiendish Olivia Faye Lathuilliere. A slightly farcical (though undoubtedly less so for the usher) last minute reshuffling of audience members happily allows La Causeuse to segue into beginning. 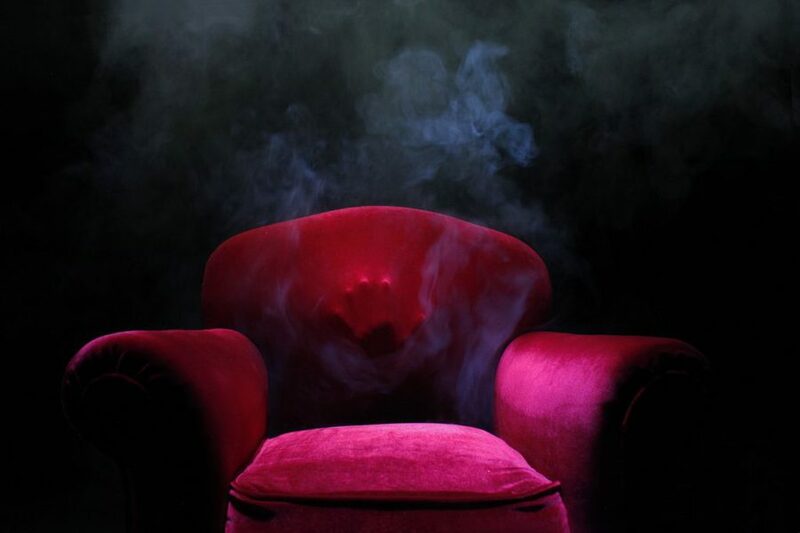 As the unassumingly dressed Olivia searches around the audiences’ seats, ticket in hand, it soon becomes apparent that the grand, presumptuous armchair in the centre of the stage, audience facing, will be her destination. What ensues is a delicate parley with the audience, based on equal curiosity and confusion in response to the chair’s behaviour. Olivia’s facial expressions are a myriad of possibilities, though it is startled bemusement as the chair regularly envelops her that proves her forte. Physically, she nimbly balances in contorted, off kilter positions. Later, she commands a deft pas de deux with a single plastic hand, the appearance of which a cheeky visual trick. The set design and lighting are meticulously done to show off Olivia’s performance to its best. A crisp black backdrop asks the audience to sketch the rest of Olivia’s suggested shapes, while the spotlight on the chair administers a weighted inevitability of presence. The music moves from rippling pianos to popping synths, mostly smoothly canvassing the transitions between set pieces. There is an old world glamour here, a joy in the intricacies of hand gestures that recalls early cinema. 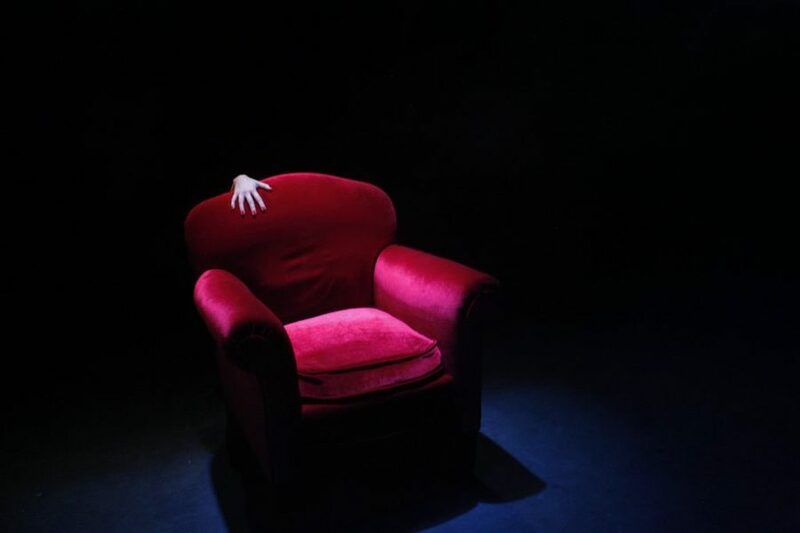 Mischievous forces are afoot, the chair seemingly sinking down to a quarter of its size and zipping across the stage. The most gorgeous set piece of the evening is the final undoing of the chair, as beautifully knit innards continue to incomprehensibly spew from its insides. La Causeuse is a delightful piece that happily sits within its sculptured frame, confidently driven by the warmth of its performer.